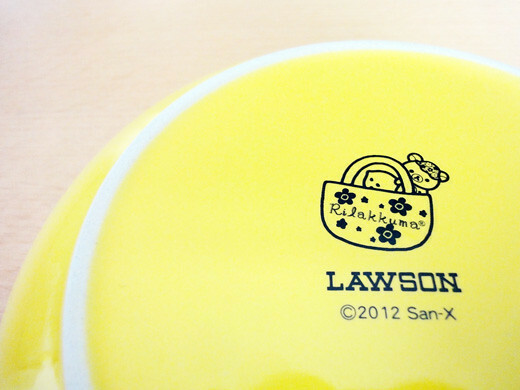 I got a ‘Tori’ (a yellow bird) plate from Rilakkuma fair at Lawson in Spring 2012. Its fair had been started from February 28th, 2012 to May 7th, 2012. I’ve collected 30 points of the stickers in order to get the cute plate at Lawson. So cute! I love the yellow bird character!